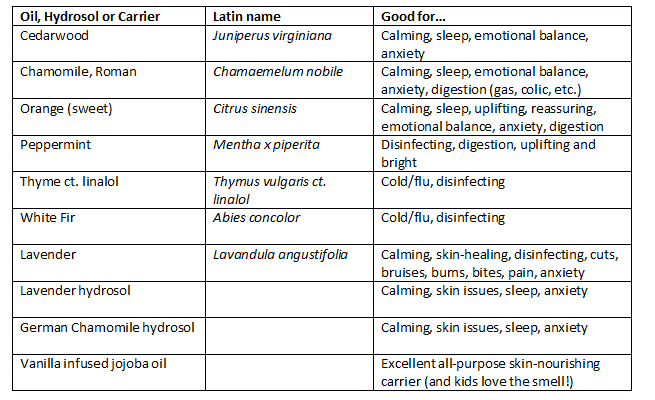 What Essential Oils are Safe for Kids and Babies? Other times, it’s just paralyzing. When I finally started really digging into essential oils and learned that many of them aren’t recommended for kids, I freaked out a little bit. I had already used many on the list around and with my kids! Turns out essential oils aren’t necessarily free of side effects. My first instinct was just to pull back. I didn’t want to use any oils that might hurt my kids, so I didn’t use any at all for a few months. Then I finally regained the bandwidth to read a bit more, and I added a few super safe oils back to my repertoire. I ordered some Fir Needle to use instead of eucalyptus for congestion, and some Thyme for cleaning and antibacterial sorts of applications instead of the “hot” oil blends. 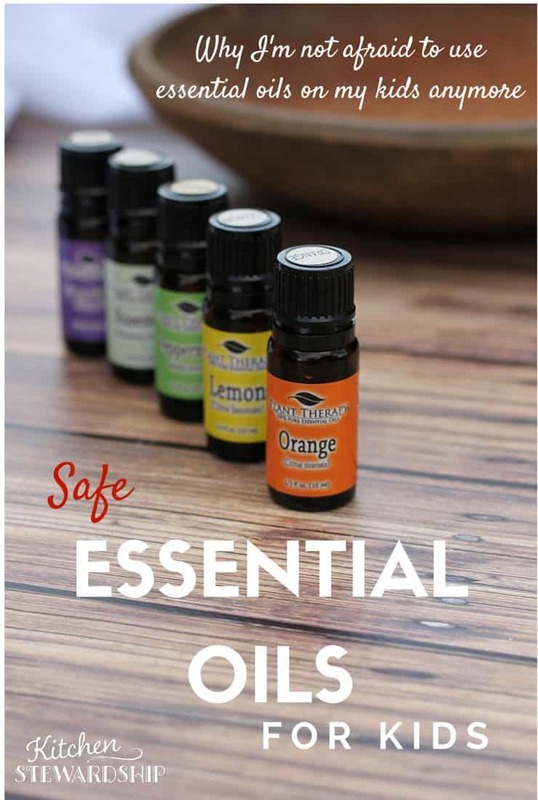 Now just this month, I finally feel equipped to really invest my time in using essential oils – and just in time, too, as cold and flu season is rapidly approaching. A few years ago, when my then two-and-a-half-year-old would get a cold, it seriously affected his breathing – and even his heart rate. Like, scare-the-parents-out-of-their-wits fast, inhaling about once every two seconds or faster. And his heart would just race like crazy, probably about 2 beats per second. You could hear him struggling to push out his breaths while talking, and while it didn’t hurt him and he didn’t complain at all – he pretty much acted like a normal boy with a little cold – it seemed really serious. I could tell almost as soon as he got the sniffles if it was going to “go into his lungs” as I described it. What would start as a simple cold acquired from his sister would turn into a hot mess for this one. I used whatever natural remedies I knew of for the first 24 hours of the cold and then felt compelled to take him to a doctor to make sure nothing uber-serious was going on. It was no big deal, and I learned what to watch for as far as breathing rate (over 40/second and we should call the doc so she can hear it herself). I couldn’t help but wonder why this kid’s lungs seemed to be so weak – he had pneumonia twice as a toddler and whooping cough. So were those causes or effects? Did any of the essential oils I had used in a steamy shower during his coughing episodes, some of which are not recommended for kids, permanently impact his lungs? I had a lot of mommy guilt, even though I know it’s highly unlikely that his “weak lungs” could have been prevented or were caused by anything we did. I admit that I’m nervous for him every time we head into sick season again. I’ve found that if I catch the cold at its earliest, before it really digs its claws into him, and knock it out with heavy probiotics, immune boosters from TriLight Health, and immediate essential oil diffusion, I can usually “win” before anything sinks into his lungs. I’m determined not to let his heart rate get so high, so I’m going to have some kid-safe essential oil blends on hand – and I’m learning to make them myself. I gained access to a 3-hour course on blending essential oils for cold and flu season (put on by the Aromahead Institute), and I admit I was hesitant at first. I saw the list of 5 essential oils to be used and instantly recognized one of them (eucalyptus) as a no-no for kids. Do I really want to bother with this course? I thought. I ended up emailing the instructor, certified aromatherapist Andrea Butje, and asked her how she addressed EO safety for kids. Her answer was above and beyond. She not only assured me that every blend in her course has a child-safe alternative (and now that I’m in it I see most have two! ), but she also sent me an article she’d written all about aromatherapy oils and children. That’s where I learned about hydrosols, which are healing aromatic water that’s a by-product of the essential oil distillation process. Hydrosols have a lot of healing powers but they’re much gentler than EOs. Babies’ systems are very delicate and they don’t need a very strong substance to influence them to healing. Andrea uses German Chamomile hydrosol and Lavender hydrosol – they can go on baby’s skin for a diaper rash or in bath water or on a blanket for aromatherapy. She did say that one could use EOs with babies but that diffusing those same 2 very gentle ones for only about 15 minutes (before bed, for example) would be plenty. No need to leave the diffuser running overnight. See below for a separate list and uses for EOs for children. As I read about different blends and remedies, I make notes and consider for a while whether I’d really use them. When something comes up over and over on my list, I order it. I’ve been trying to make sure I have “the basics” on hand, and I’m really happy with these purchases. I keep seeing these two versions of chamomile oil, particularly related to sleep – which is why I asked for a diffuser for Christmas. The Kimball kids are well known throughout the world for being terrible sleepers, and I’m a bit desperate to do something about that. This is another substitute for some of my non-kid-safe oils that I rely on. Both Cedarwood and Fir Needle are intended to alleviate congestion and improve respiratory distress, and you know – ’tis the season! My 4yo particularly has lung weaknesses in my opinion, and every cold he gets really goes deep into his lungs and impacts his breathing. I will do anything I can to support him and help him through each virus! Lavender is in everything, it seems. Cleaning, calming, illness battles, teething, relaxing, and more – and it’s one of the most kid-safe oils out there. I have gone through a couple small bottles and wanted to get a big one to last a while. I have relied on other brands with blends to fight germs and congestion for years, applying topically (diluted of course!) and diffusing. The more I learned, the more I realized that some of the oils in those blends weren’t necessarily safe for kids, and we still have teeny tiny babes around here. I decided that it made zero sense to have oils around at all that I wasn’t comfortable using with my kids – therefore many of my lists of “oils I want” were the ones I was reading about that had similar properties to the oils I already knew how to use, but yet were safe for kids of all ages. I was starting to stockpile individual oils for germs and congestion, and then I found Plant Therapy’s KidSafe synergy line, formulated by Robert Tisserand – they shot to the top of my list quickly! It’s a good time for a little disclaimer. You’re in the middle of a story here – just a story. From someone who makes sure she knows enough about essential oils to avoid misusing them, but barely the tip of the iceberg about HOW to really use them well. Please don’t take any of this as medical or health advice; it’s just something I’m doing right now and I thought I’d share. Now that I’ve poked into Andrea’s course, I learned that Cedarwood is a better substitute for Eucalyptus in respiratory blends than Fir Needle is. If you can’t view the video above, see it on YouTube HERE. EACH recipe has an adult and child version! *we substitute Cedarwood for Eucalyptus with children, and Frankincense is fine to use with children. 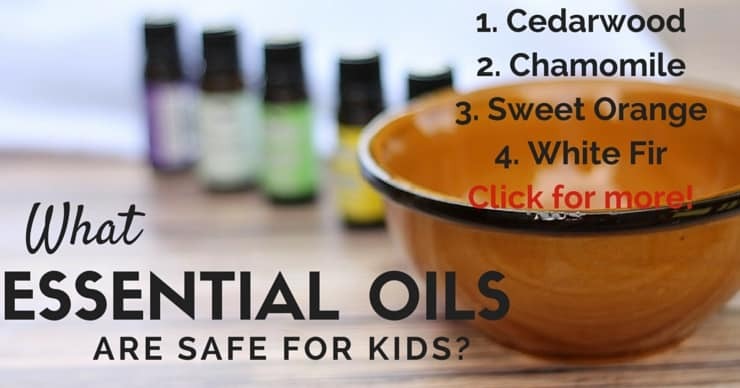 I promised I’d share these tips from Andrea on essential oils that are recommended for kids under 10 and even some uses for them. It’s a chart I’m printing to hang inside my medicine cabinet! Thanks to Andrea at the Aromahead Institute for permission to share this info with you!!! EDIT: I’m surprised to see peppermint there because I’d always heard that it’s not recommended for little ones. In this post the note on peppermint says not to use it on kids under 6 in any fashion, so I’d stick with that! Always better on the safe side. I want to hear from you – what holds you back from using essential oils with your family? Or if you love them, why? Oh Katie. My 4-year-old (who was born 7 weeks early and had RSV at 2) has the exact same symptoms as your little guy with every cold. Super fast breathing, super high heart rate. They said reactive airway disease for awhile, but albuterol would barely touch it. In April we spent 5 days in the hospital for a simple rhinovirus that went into a wicked asthma? attack that then turned into pneumonia. 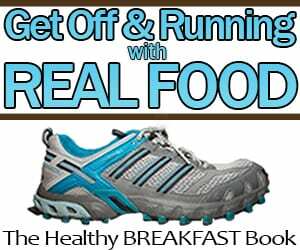 I resisted and resisted and resisted a daily steroid treatment because he exhibits zero signs of asthma outside of colds… And I tried a ton of supplements and oils and home remedies. But after that April stay in the hospital, I just couldn’t watch him struggle anymore. I finally agreed to try the daily low dose inhaled steroid (while still continuing a modified diet and other natural stuff) and for the first time in over a year or more, the cold he got in August did not turn into a crazy breathing episode. I still feel bad about going the med route, but at least this time it seems to have worked, and God willing will not harm him in the long run. I wish you many prayers and best of luck with your little guy! I hope to,hear that your natural remedies work great. As a side, I’ve been super careful and cautious with my EOs too… So I appreciate this new info you’ve put out. Poor John! I know that worry well. 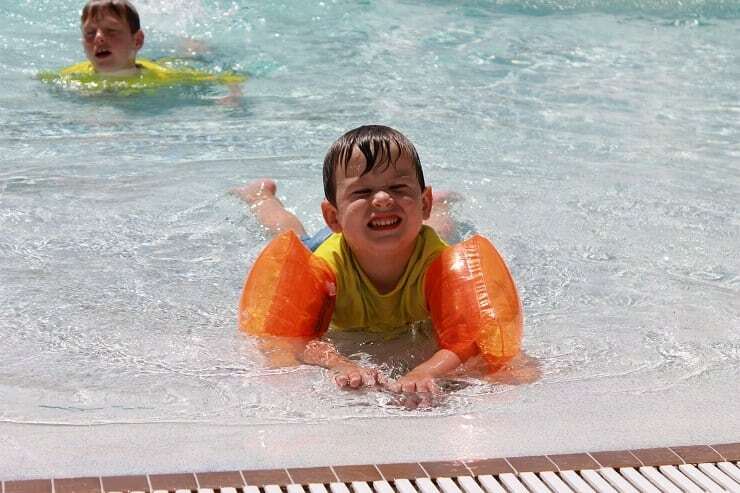 We had our own trouble with my son – the first two years of his life felt like constant battles with his lungs. I’m fairly certain his were related to dairy intolerance because once we stopped dairy he got TONS better. Winter is no longer a worry and we’ve been *knock wood* two years without a “sick visit” to the dr. RAD, bronchiolitis, croup, and finally hospitalized for pneumonia. It really is heartbreaking when kiddos have breathing issues! John actually had allergy testing when he was just over age one, so I doubt he has an allergy – wonder if an intolerance or sensitivity would show up on that? Allergy testing is unreliable for kids under age 7 I think it is. Our ENT told us this and we still chose to test our daughter who was 4 at the time. The problem is that it can show false negatives. Hey there! I have been trained in aromatherapy usage by two different Certified Master Aromatherapists, and the problem with eucalyptus is that most people don’t know there are different types. Eucalyptus RADIATA is safe for kids. Eucalyptus GLOBULUS is not. Have fun learning and experimenting with oils! The most updated information on EO safety is written by Robert Tisserand. He co-authored the ‘Bible’ on essential oil safety, a book titled: “Essential Oil Safety: A Guide for Health Care Professional”. I believe the info regarding E. radiata being safer than E. globulus is outdated. Based on current research, Tisserand has clarified the safe & effective levels of use. He refers to “Eucalyptus” as, quote: “any cineole-rich oil, such as Eucalyptus globulus & Eucalyptus radiata”. Check out his page for more safety information & dilution percentage for children under 3 and children 3-6 when using eucalyptus & peppermint EO. Read through the comments too, especially Tisserand’s replies. Thanks! I have seen this and my Aromatherapists definitely recommend and reference Tisserands’s book. We never ever use peppermint on the little ones and only radiata when diluted as recommended. I was in the same boat, Katie. I jumped into essential oils last winter, believing everything a salesperson told me. Luckily I didn’t use them too much on my kids as I felt uneasy about it. Then I found Lea Harris’ site Using Essential Oils Safely and did a ton of reading. I was so nervous about them that I didn’t use them again until last week when they all had a cold. I used Lea’s recipe for kids and felt much better. Thanks for the info and update! Thanks for your question – peppermint is on that chart of safe for kids under 10, which is surprising to me. I have often heard peppermint isn’t good for little ones (not sure why I didn’t question Andrea on it back in the fall, sorry!!!) But on the other post, it says safe for kids over 6, so maybe it’s ok for bigger kids. Either way, I would stay away from it for kids under 6. Thanks for clarifying!! You mentioned knocking a cold out before it took hold. That’s not possible since there is no cure for a cold.